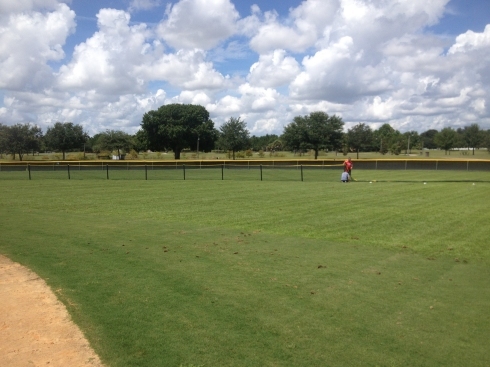 Baseball and Softball Facility even better for the Kids! 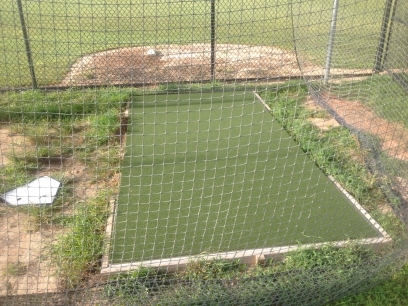 o 4 more batting mats In place. 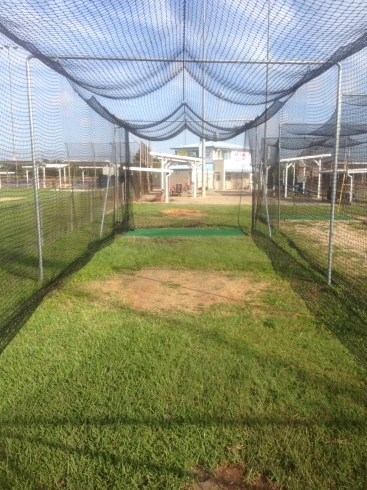 2 for the deuce & 2 for the quad. 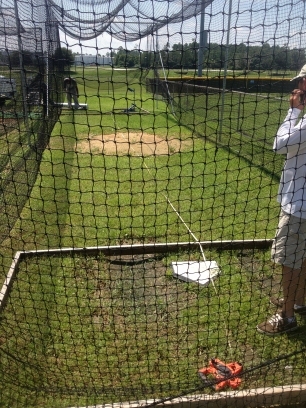 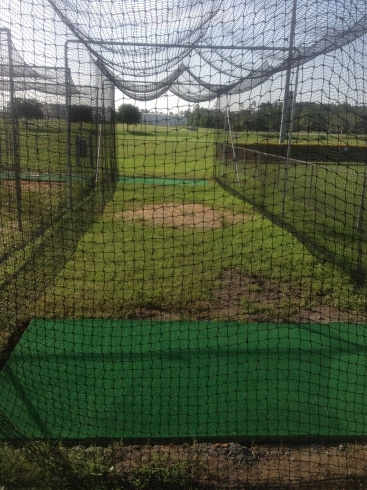 o We installed about 28 yards on clay on the Coach Pitch practice field which expanded it by 12 feet so the practice field bases can be set to proper dimensions (60 ft). 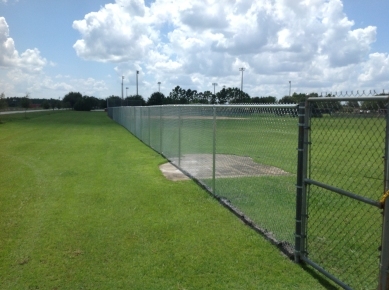 § Installed ground sockets for 125 ft and 175 ft on the coach pitch fields. 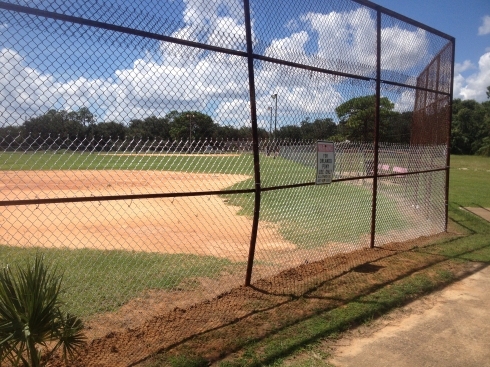 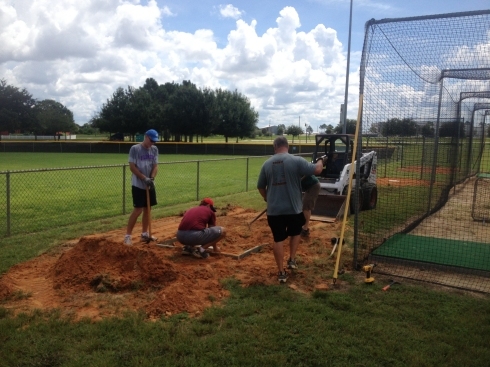 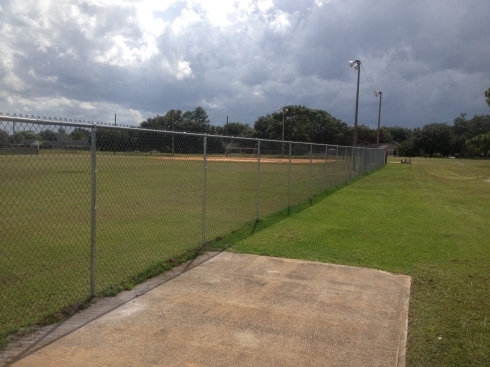 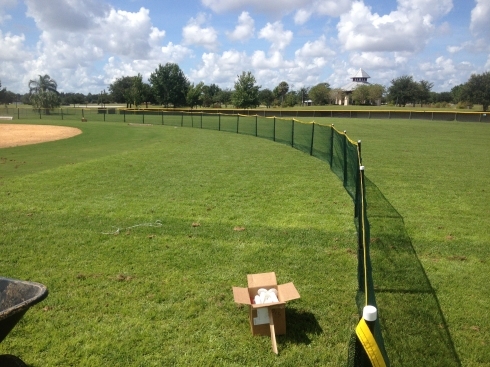 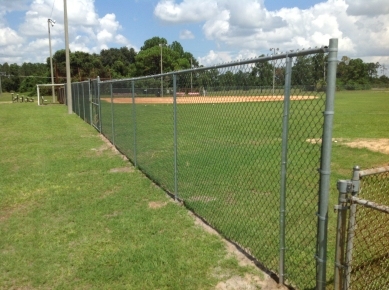 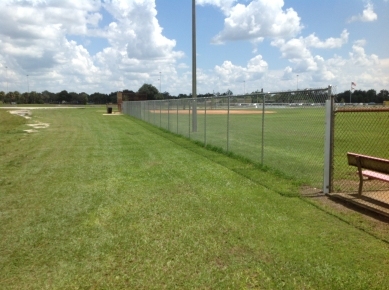 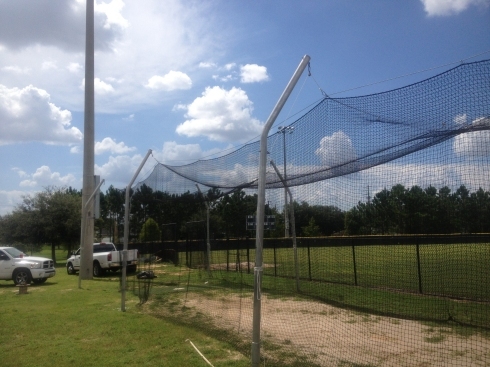 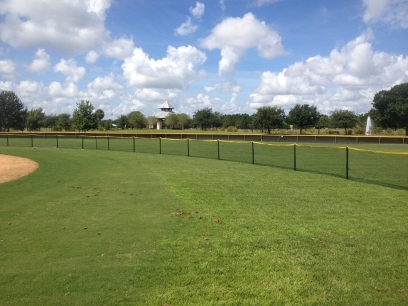 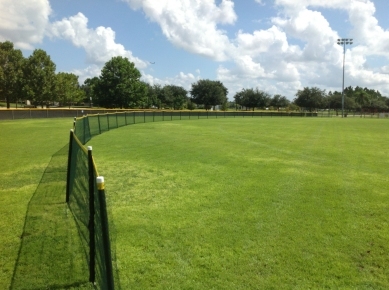 § Installed ground sockets for 125 ft and 200 ft on the softball field. 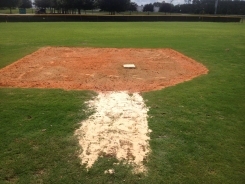 o 8 cubic yards of clay dumped on the Rookie practice field. 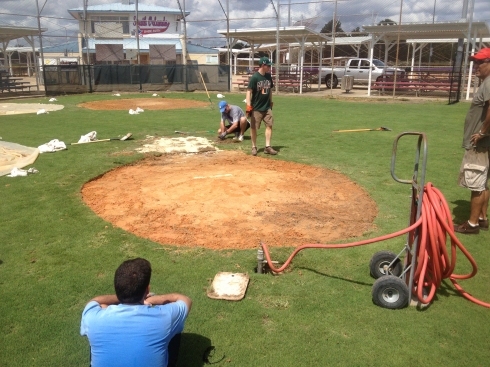 o Minors Game Field Clay Sod repair. 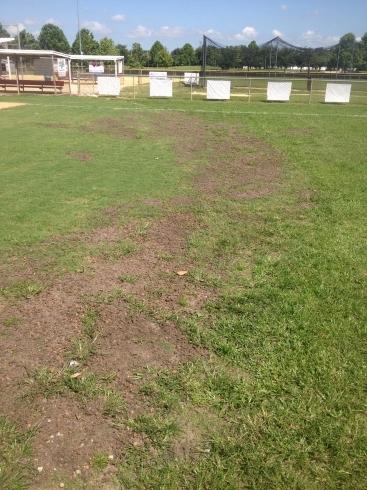 o Fertilizer and herbicide got put down on all the game fields. 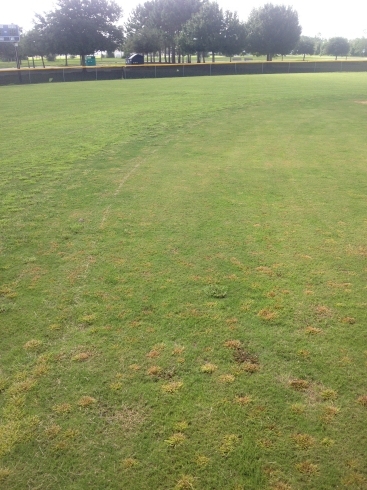 o Before & After Donated Grass cores to fill in the Fields. 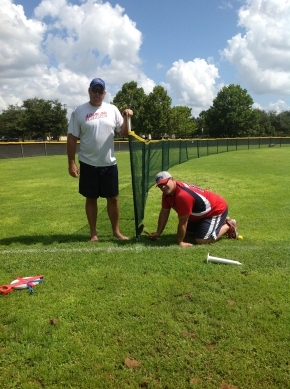 Parents, we are looking for Team and Field Sponsors. 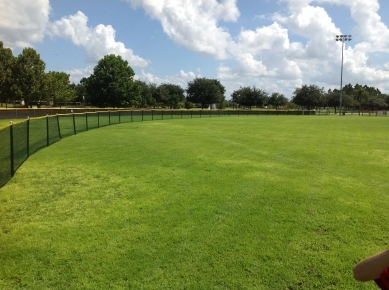 Each season with the help of our sponsors we have been able to keep our fees low, improve our fields and to improve our overall quality of baseball. 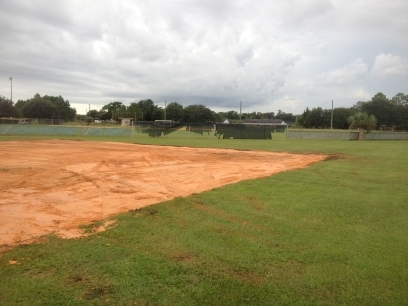 Click here to access the sponsorship form. 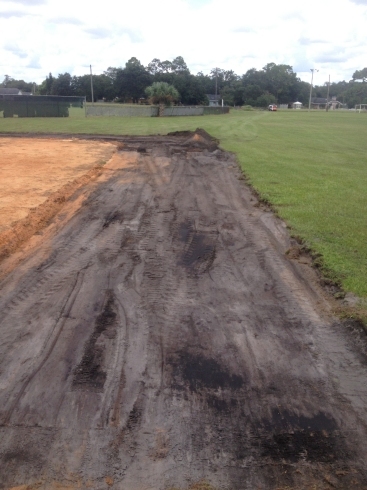 Please contact Stacey Vega @ 401-743-8687 with your questions and concerns.